Malachite Resources has announced its first gold pour from the Lorena open-cut operation near Cloncurry. “We are delighted to have achieved this significant step in the development of the Lorena gold project and to have also achieved “Gold Producer Status” for the first time since listing on the ASX,” chairman Terry Cuthbertson said. 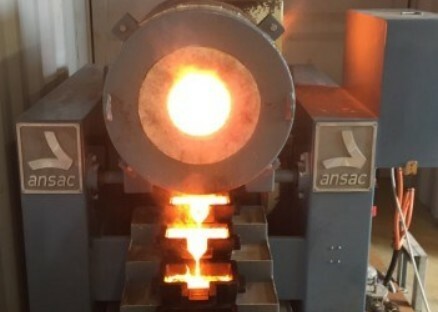 The company said the first gold pour was largely derived from lower grade ore that had been processed initially as the plant processes and recoveries were being optimised. The processing of higher grade ore through the processing plant has commenced and gold production is now expected on a regular basis. Malachite Resources, which holds a 55 per cent stake in the project, says mining is continuing in accordance with the schedule and that operating costs to date have been largely in accordance with project forecasts. The project is expected to produce 30,000-35,000 ozs of recovered gold in 18 months of production. The joint venture partners are awaiting assays from a 2400m RC drilling program carried out early this year to identify additional gold resources near surface and below the existing pit to extend the operation.